Good Stuff NW: Farmers' Market Frenzy! Cherry blossoms. Daffodils. Tulips. It can only mean one thing, right? Yes…it's farmers' market season! The Portland Farmers' Market at PSU has already opened its regular season after being mobbed by eager shoppers in its first attempt at a year-round schedule. The city's six other year-round markets are gearing up to start their regular weekly schedules and will be popping up here and there over the next few weeks. Beaverton Farmers' Market opens Sat., May 12, and is celebrating its 25th anniversary this season with more than 200 vendors, including 18 that are new to the market this year. Check the website for anniversary events. Saturdays, 8:30 am-1:30 pm. On SW Hall Blvd. between Third and Fifth Sts., Beaverton. 503-643-5345. Hillsboro Farmers' Market opens Sat., April 28, and is celebrating its 30th anniversary this season. Saturdays, 8 am-1:30 pm. In historic downtown Hillsboro on Main St. and 2nd Ave., one block NW of the 3rd Ave. MAX station. 503-844-6685. 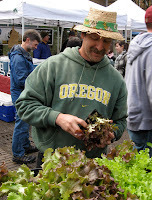 Kenton Farmers' Market, a brand new market in the Portland Farmers' Market fold, opens Fri., June 1. Fridays, 3 pm-7 pm. On N McClellan St. at Denver Ave. near the Kenton/N Denver Ave. MAX Station. Gladstone Farmers' Market opens Sat., June 2, with new hours from 10 am to 4 pm. 580 Portland Ave., Gladstone. 503-756-6477. Sadly, I also received news that the Interstate Farmers' Market decided to cease operations at the end of its 2011 season. It will be missed! 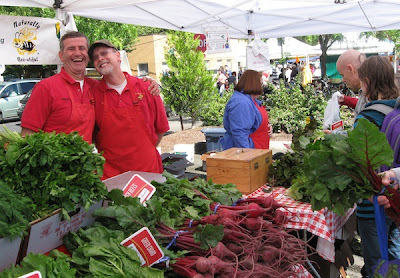 And don't forget to check out the GoodStuffNW Oregon Farmers' Market Schedule for a comprehensive listing of farmers' markets with dates, hours, maps and links to your favorite market. And please let me know if I've missed any! 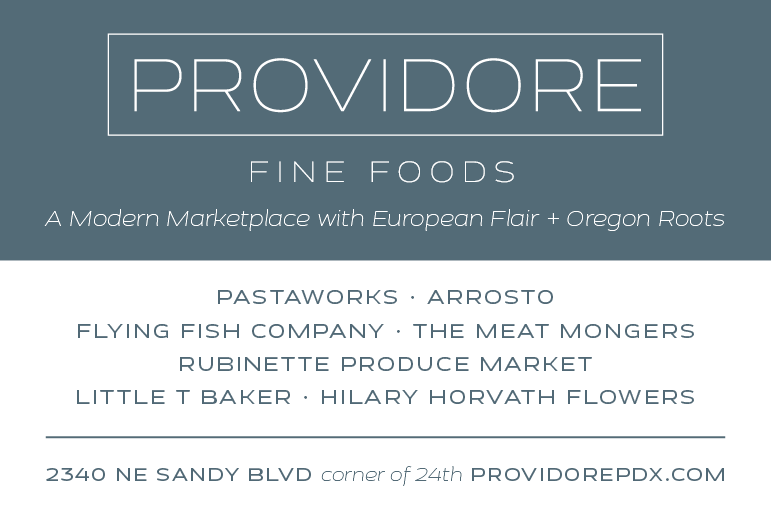 Don't miss Astoria Sunday Market, beginning May 13, 2012 (always on Mother's Day) hours are 10 am to 3 pm, on 12th to Exchange St. Thanks for the heads-up, Nootka…so much going on in our coastal communities. Check it out on the Market Schedules page! Christine, that small market was run by Roger and Norma of Springwater Farm during the off-season and, alas, they don't have plans to reopen it. You can find them and their marvelous offerings at the PSU market on Saturdays, Hillsdale on Sunday, and Shemanski on Wednesday.